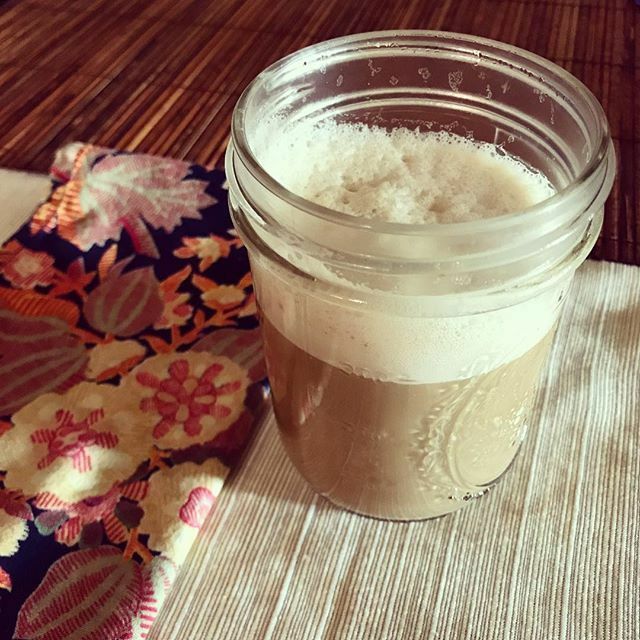 Gaining in popularity because of it's rich froth and lack of a crash from caffeine, this recipe is what I drink every time that coffee is made at my house. One way to avoid the blood sugar spike and crash from caffeine is by adding fiber and fat to your cup of joe. Healthy fats are also a great nutrient to feed your brain for development & functionality (especially in kids)! Play with the amounts to see how you like your proportions. Mix all ingredients in a blender or simply use a whisk and rub briskly between your hands to mix quickly and get a good froth (melting the butter as you do so). Happy morning!